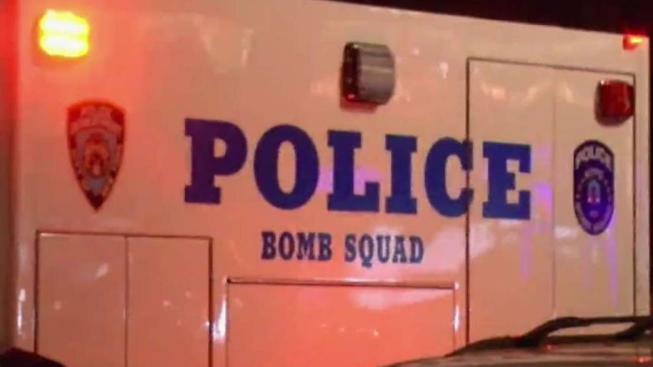 Unattended toys sparked a suspicious package scare at Manhattan's Time Warner Center, just a day after a crudely-made potential pipe bomb was delivered to the CNN offices in the building. The Columbus Circle building was evacuated but was given the all-clear about 8:45 p.m., according to authorities. The NYPD encouraged people to "continue to say something if you see something" in a tweet. On Tuesday, one of 10 devices addressed to prominent political figures around the country was delivered to the building. No one was injured in that incident, and the device -- addressed to former CIA director James Clapper -- never detonated.